Todd Clift and his father started making wine in a garage towards the close of the last century. Todd then apprenticed at Harmony Cellars before opening his own business. He opened the current location on Cornwall Street a couple of years ago. The tasting fee is $10 for six wines. The fee is waived with the purchase of two bottles. 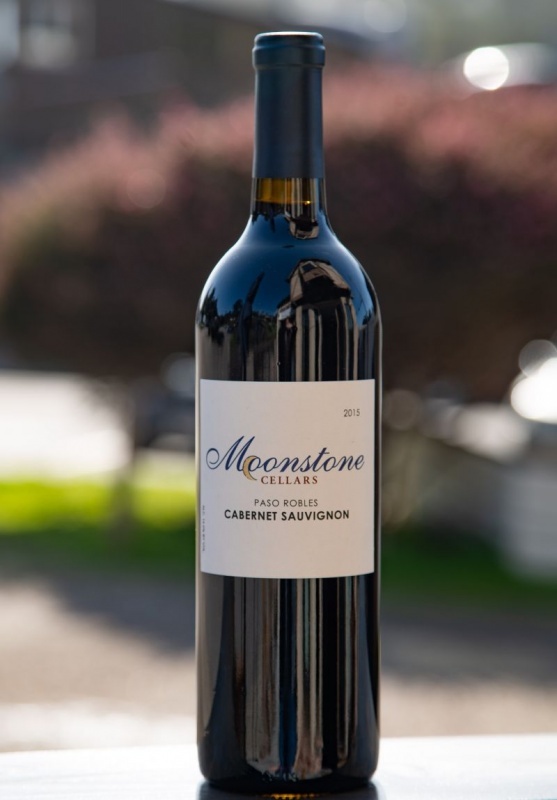 Moonstone Cellars also serves wine by the glass; the cost varying depending on the wine. We started our tasting with the 2016 “Slabtown” Chardonnay ($29). Slabtown was an early name for the town of Cambria. That name was a reference to the many buildings made of rough slabs of wood. In something of a stretch, the tasting menu notes that the Chardonnay too spent time in wood. The nose was subtle with vanilla and a hint of tropical fruit. The flavour profile was a balance of crisp green apple and minerality. A pleasing creaminess emerged in the finish. The barrel treatment is 20% new French Oak. 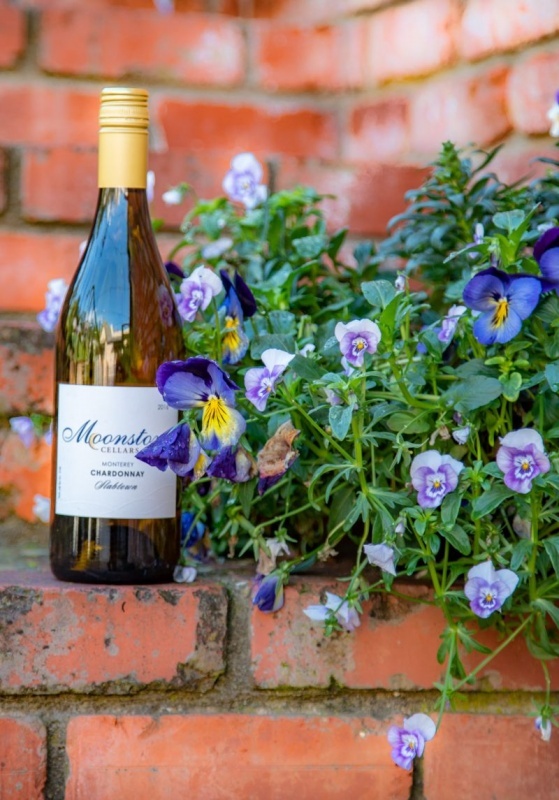 The fruit for this wine is from Monterey. The second white was the 2017 Viognier ($29). It had the colour of straw and offered a rich floral nose. As I took a sip I was struck by crisp acidity and the flavours of pineapple and lemon. Citrus dominated the finish but backed with minerality. Our last white was the 2016 Gewürztraminer ($23). 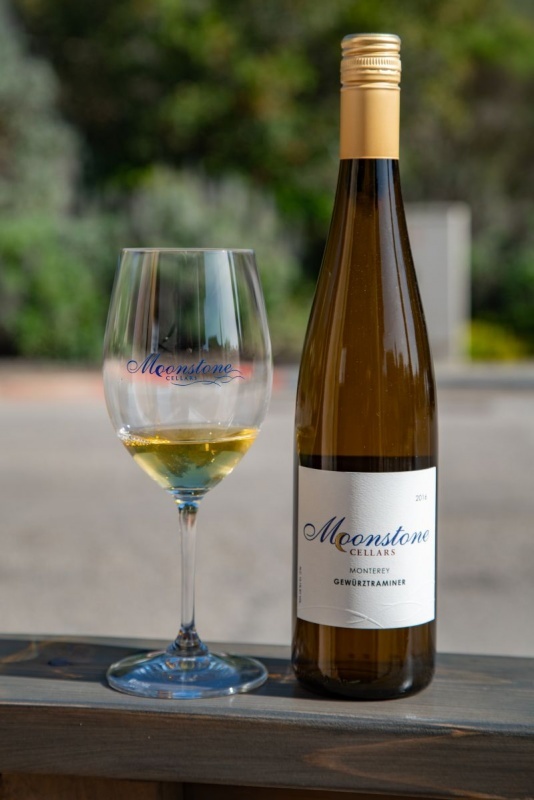 Intense aromas of honey and mango suggested a sweet wine to come. However, the wine was off-dry, with a minerality that brought it closer to dry. Zesty flavours of grapefruit and lime led the palate. The finish softened the citrus with honey. This is a juicy and delightful wine. Our fourth wine was the 2018 Pink Elephaniux ($28). The tasting notes helpfully offer a pronunciation: “El-if-i-know”. 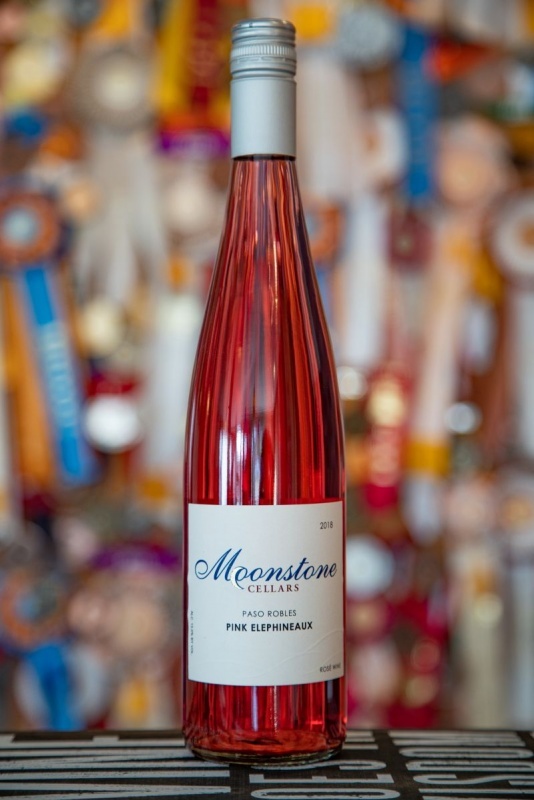 The rosé is 100% Tempranillo from Paso Robles. The hue was deep for a rosé, the colour of a rose petal. It had a nose of strawberry and wet stone. There was a slight hint of fizz to this crisp wine and an edge of fizz. This was the first wine in the line-up to disappoint. The first red wine was the 2015 Tempranillo ($35). My first impression was from a delightful nose of plum, blackcurrant, and a hint of baking spices. The taste did not live up to the promise of the nose. It was lean and dominated by vanilla and earthy tannins with hints of cherry. The medium length finish was a touch fruitier and helped the wine. Overall, merely ok.
Next up was the 2015 Cabernet Sauvignon ($39). 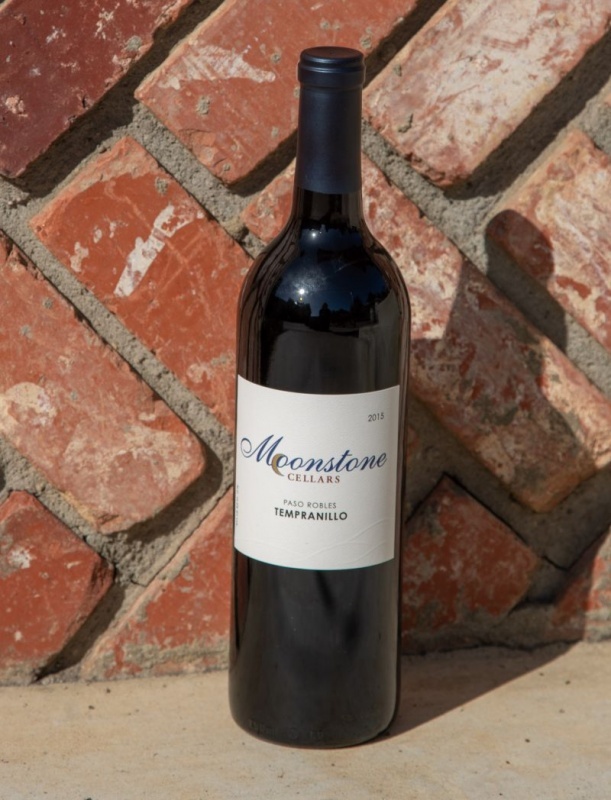 A rich, medium intensity wine was awash with aromas of plum and cherry. Here the bouquet was not betrayed on the palate. A fruity wine with acidity balancing the plum. It offered a long finish with notes of cherry. This is not a Napa Cab but was a fascinating wine. The acidity convinced us that this wine would benefit from food. 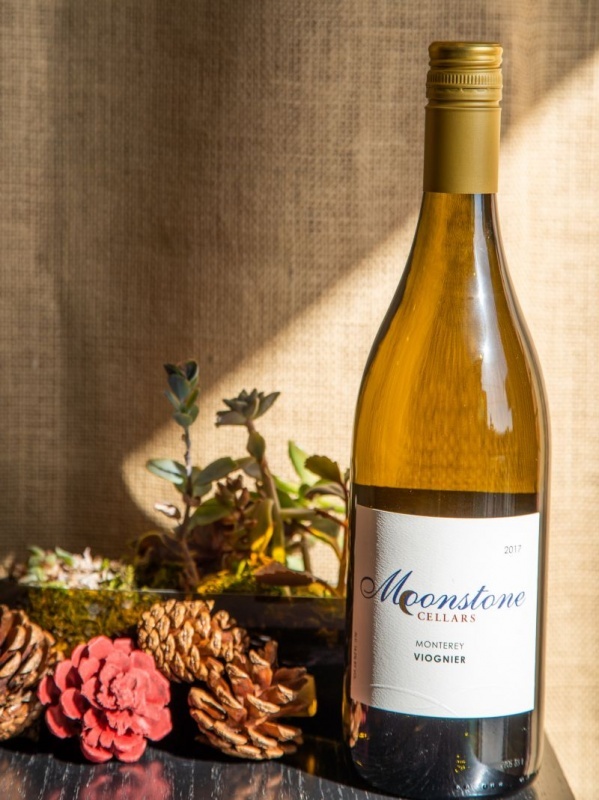 Our third wine was another example of Moonstone’s light-hearted approach. It bore the name Côtes du Stône ($34). 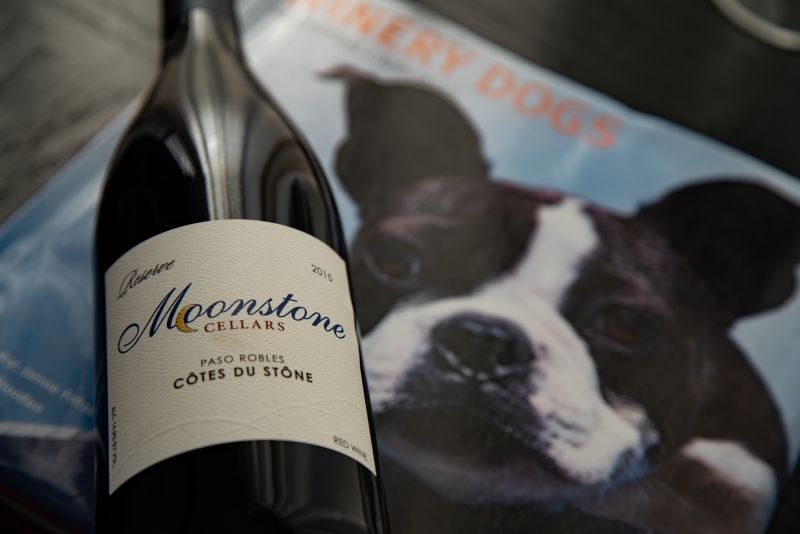 Unsurprisingly, given the name, the wine was a blend of three classic Rhône varieties: Grenache, Syrah, and Mourvèdre. A delightful nose combined ripe plum, earth, and wisps of tobacco. It offered a rich and very fruity first impression. Dusty tannins sparkled with a complex palate of raspberry, cloves, and pepper. This is an excellent wine; enjoyable by itself as well as with food. We were told that the blend was eight barrels of Grenache, five of Syrah, and five of Mourvèdre. This is the first time I have heard a blend described with this measurement system. This translates to 44% Grenache, 28% Syrah, and 28% Mourvèdre. The tasting finished with the 2016 Pinot Noir. It seemed odd to end with a varietal usually starts a tasting of red wine. The color was darker and less translucent that is typical for Pinot Noir. The nose was fruitier than expected, dominated by plum aromas. High acidity was balanced by cherry, raspberry, and dusty tannins. That acidity dominated a long, mouthwatering finish. 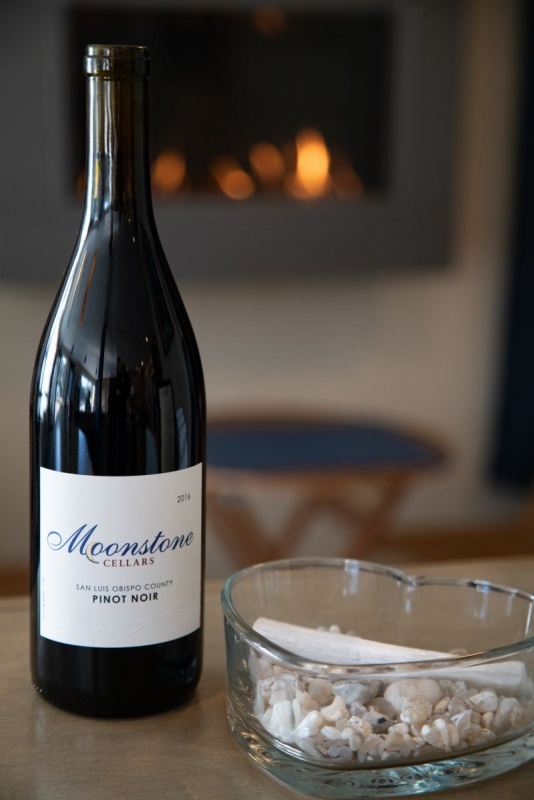 This Moonstone Pinot was intriguing, with its assertive acidity crying out to be paired with food. We loved the relaxed ambiance and our charming host. All three of the white wines were excellent. None of the wines were poor. The Rhône blend was a true standout. 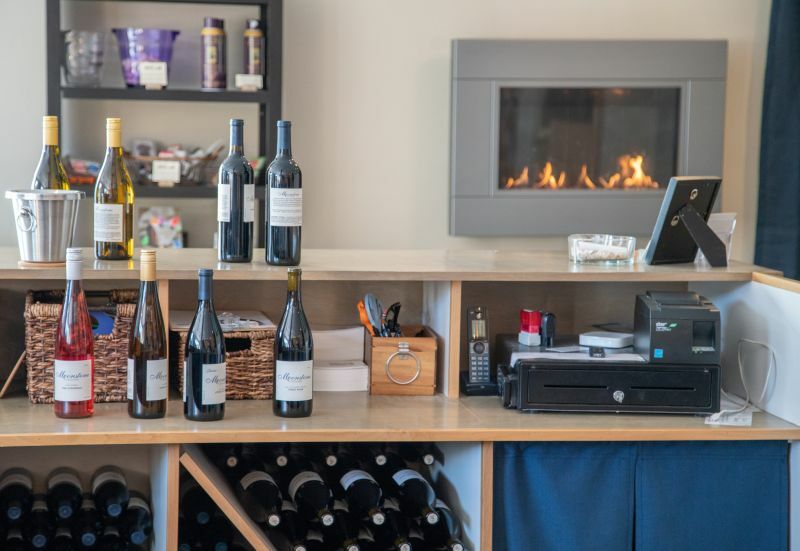 Of the three tasting rooms we visited in Cambria, this offers the best red wines.